Listening to CB radios and police scanners were in vogue in the 1970s and 1980s. Trying to decipher the crackling, static-filled, brief communications packaged in CB handles and jargon was half the fun. But wait… doesn’t that sound like an analog version of Twitter today? Indeed, it does. Jack Dorsey, the founder of Twitter and Square, was one of those kids with a passion for dispatch services and scanners. It’s hard to imagine that he took those same ideas and became a self-made billionaire. But he did, and he has changed the world. What’s so unique about Dorsey that propels him from one success to the next? 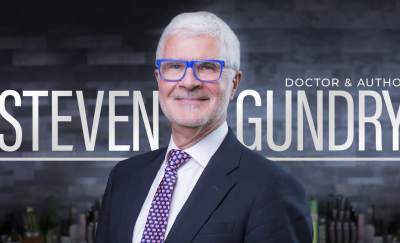 Clearly, his willingness to take risks, seek advice and mentorship from colleagues, as well as challenge the status quo and empower others, are the traits that make him a bold leader. 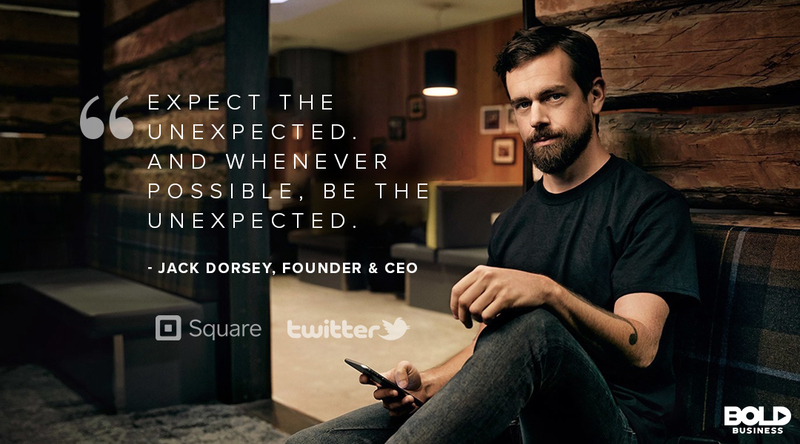 The bold leadership of Jack Dorsey at Twitter and Square has made an impact not just on business, but culture itself. Bold leadership does not always jump up screaming and shouting. Such has been the case for Dorsey. Growing up in St. Louis, Dorsey had fairly humble beginnings. His father worked for a company making mass spectrometers, and his mother was a homemaker. Dorsey, of course, had a fascination with maps, dispatch services, and schedules. In fact, he even tried to launch his own bicycle courier services as a teen. Though the company never got off the ground, it did give Dorsey an excuse to use open-source programming. Not long after this, the first glimpse of Dorsey’s leadership style came when he contacted Greg Kidd. Kidd was the owner of Dispatch Management Services in New York. Dorsey had found a glitch in the website’s programming and wanted to let Kidd know about it. Kidd, in turn, offered Dorsey a job, and shortly thereafter, the two started a new company together. Interestingly enough, the company, DNet, offered same-day delivery for e-commerce purchases. Though the idea was ahead of its time, the vision and willingness to take risks to highlight early bold leadership traits. Dorsey’s bold leadership pursuits to make things better continue in his efforts today, just like they did then. 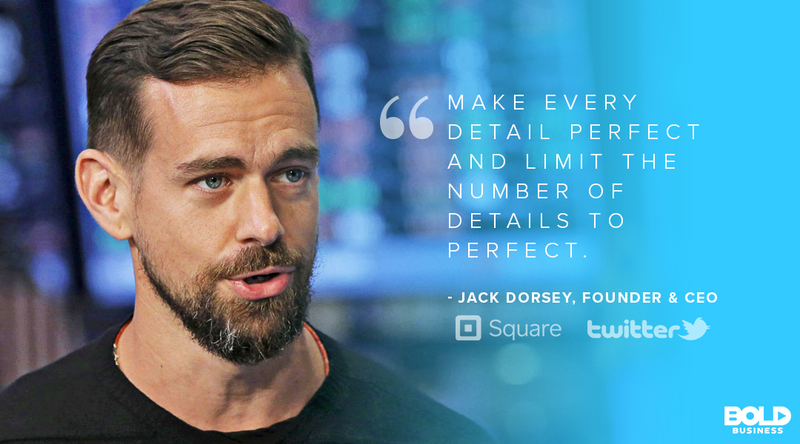 From bike courier to programmer to visionary, Jack Dorsey’s bold leadership has guided him along a path few ever tread. Bold leaders are at home in the midst of chaos and change. For Dorsey, you have to take things a step further. Dorsey isn’t satisfied unless things are completely turned on their head. Certainly, microblogging on Twitter placed the power of public media in everyone’s hands. Labeled as a disruptor of epic proportions, Dorsey exhibits a classic bold leadership trait of constantly seeking perpetual transformations. 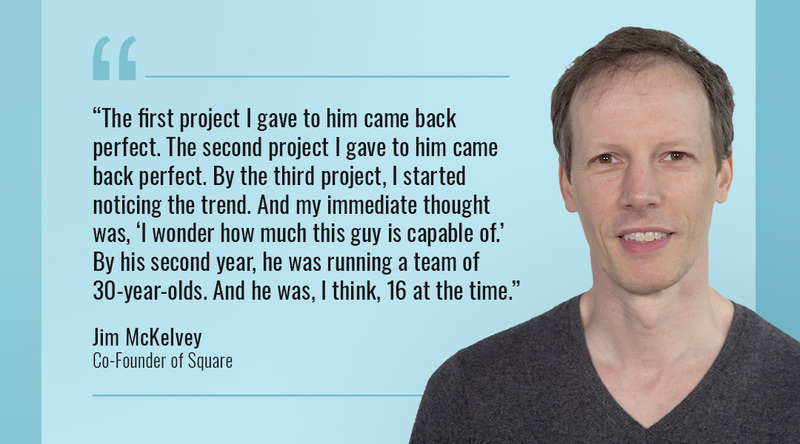 Jim McKelvey Co-Founder of Square and mentor saw Jack Dorsey’s potential as a bold leader early on. Similarly, Square is disrupting the multi-trillion-dollar mobile payment industry. This vision started when his mentor and co-founder Jim McKelvey was trying to sell his glass blowing art but was unable to take payment and lost a sale. So he and McKelvey decided to focus on the problem and come up with a bold idea to solve it. That idea turned into a series of actions that resulted in bold impact. And, now their solution is responsible for the ubiquity of small credit card readers around the world. 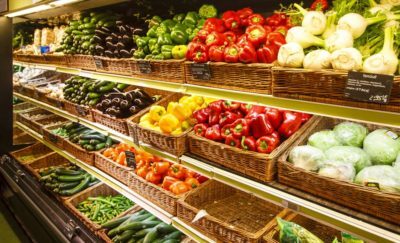 According to McKelvey, “The advice I give and have always personally followed is do something you care about. If you look at money as the motivator, it is really not that powerful. But if you care about a problem, that problem can pull you out of bed at five in the morning every day.” It is clear that Dorsey has taken that advice to heart! Dorsey thrives in chaos, and the seeds of his innovations have shaped the world. Indeed, Dorsey’s leadership style utilizes visionary skills and a steadfast demeanor to help navigate change and chaos well. But at the same time, he has consistently fostered cultures of engagement, so others are comfortable with change as well. Dorsey believes in transparency, trust and serendipity. In terms of transparency and trust, any meeting involving more than two people requires company-wide distribution of the meeting’s minutes. Regarding serendipity, all work environments are open and promote unexpected interactions. Through these types of structures, Dorsey helps support innovation, creativity, and change… one disruptive idea at a time. Dorsey began as a software programmer. For many programmers, solitude and flying solo might be the norm. However, Dorsey enjoys collaboration, teamwork and spontaneity. In fact, in nearly every endeavor he has pursued, he has done so with partners and a dedicated team. While not every pursuit has been productive, Dorsey acknowledges the importance of having the right people in place. Moreover, because of Dorsey’s leadership style he appreciates the importance of empowering them and their contributions. These facets lie at the heart of bold leadership and innovation. The world is full of programmers, but how many of those programmers become bold leaders who change the world? Though Dorsey is currently CEO of both Twitter and Square, he was ousted as CEO from Twitter in 2008. Upon his return as Twitter’s CEO in 2015, one of his priorities was again assembling the right team. According to Dorsey, it takes time for teams to come together and work effectively. Though delegation is important for efficiency, bold leaders do so with keen discretion and insight. Because of this, identifying developing leaders and succession planning is a priority for Dorsey at any given time. Dorsey’s day begins at 5 am every morning with a three-to-five mile run. He then splits his time between San Francisco-based Square and Twitter, which are across the street from each other. Depending on their needs, Dorsey focuses on the most pressing issues and delegates his time accordingly. Along the way, he keeps looking for that next new thing. 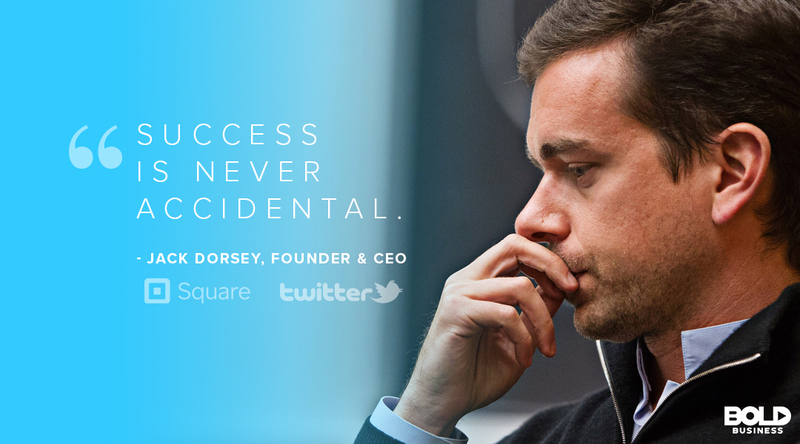 Certainly, Dorsey’s leadership style has led to combined annual earnings for Twitter and Square exceeding $600 million. But it would not be surprising if more change is on the way. As Dorsey has described, he likes the power of “threes”. Whether it’s health, education or even politics, it’s anyone’s guess where his bold leadership might show up next. What Is Too Much Debt for a Bold Business?